But sometimes you get lucky, or you get mad and make it happen anyway. 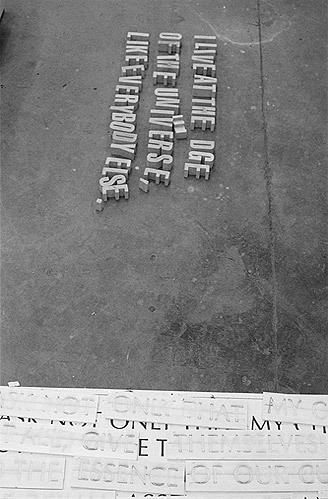 Bill Manhire’s Milky Way Bar, ‘I live at the edge of the universe, like everybody else’, from Wellington Writers’ Walk, New Zealand. Design: Catherine Griffiths. Photograph: Bruce Connew. 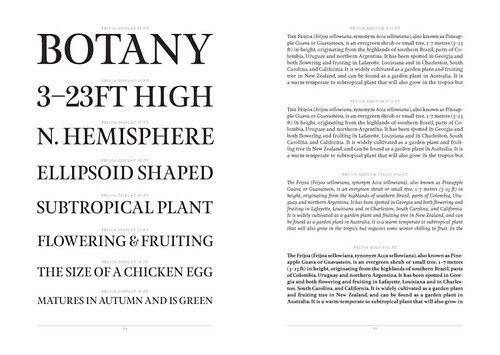 Top: type specimens by Kris Sowersby. Case in point: a typographic designer working ‘at the edge of the map’ in New Zealand is making a big symposium happen in her own backyard. Catherine Griffiths says she was just hungry to stir up more awareness and debate about the medium within her own community. TypeSHED11 (11-15 February 2009) is no set menu talkfest, franchised from bigger centres. This is a ‘boutique event’ on the Wellington waterfront, featuring designers from the Pacific and northern hemisphere, with lectures and workshops from people such as Experimental Jetset, Christian Schwartz, Walter Bohatsch, Leonardo Sonnoli and David Bennewith. Poster for AGI ‘Kakejiku’ exhibition at the Ginza Graphic Gallery in Tokyo, 2006. Design by Sonnoli. It’s not that there aren’t people in this island nation who take typography seriously. in a recent Sunday Star Times article, Wellington-based typeface designer Kris Sowersby admits that he can go ‘for pages and pages’ without reading the words. ‘I’ve been looking at the font and thinking about the font, and who did it, where it comes from.’ Sowersby has won plaudits from the Type Directors Club and has been working with Christian Schwartz on Meta Serif. Type specimens by Kris Sowersby. But a small population makes for a small economy, and a limit to what a designer trying to feed the family (or even the cat) can afford to take on. And the discussion here can be suffocatingly shallow. The lack of dedicated serious publications doesn’t help: New Zealand may have one of the world’s highest purchase rates of periodicals per head, but with a total population of 4 million niche publications cannot survive. Only two local publications cover graphic design and typography: ProDesign, the official magazine of the Designers Institute of New Zealand, and The National Grid, a more recent start-up. Few design schools in the country offer specialist courses in typography (the one exception being Massey University). And their graduates have little chance to find work here – many go abroad, to Australia and beyond, for their early adventurous years, or even their whole career. Such restrictions make TypeSHED11 a milestone on what can be a lonely path for type-users and makers at this end of the world. Ever been to a big act in a small town, where touring shows are rare? There’s a receptiveness in the air that can make it a night in a million. 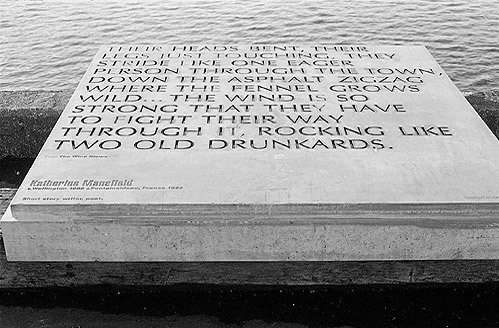 That’s the likelihood on the Wellington waterfront in February, when a hungry design community will be lining up to chew over typography. And, as well as the summer air and the taste of green grass in the wine, there will be a certain bolshie independence of spirit that comes from an industry growing up on the edge of the map. Early-bird registration ends 14 December 2008. Katherine Mansfield’s The Wind Blows, from (Wellington Writers’ Walk, New Zealand) in position on the wharf edge near Chaffers Marina, as if waiting to board the next ship. Design: Catherine Griffiths. 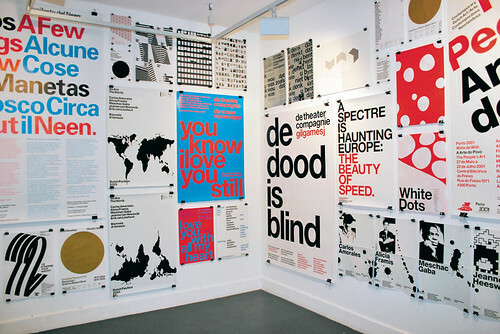 Experimental Jetset’s ‘Ten Years of Posters’, installation view of EJ exhibition at Kemistry Gallery, London, 2006. Fran Wilde Walk, Wellington, New Zealand. Design: Catherine Griffiths. 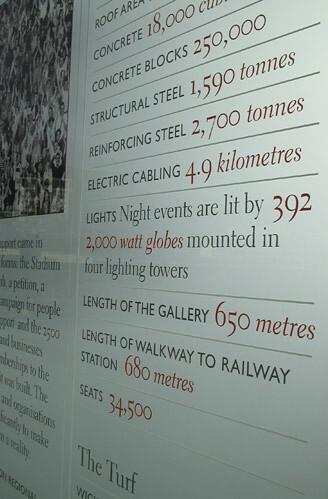 More images on our Typeshed Flickr set.